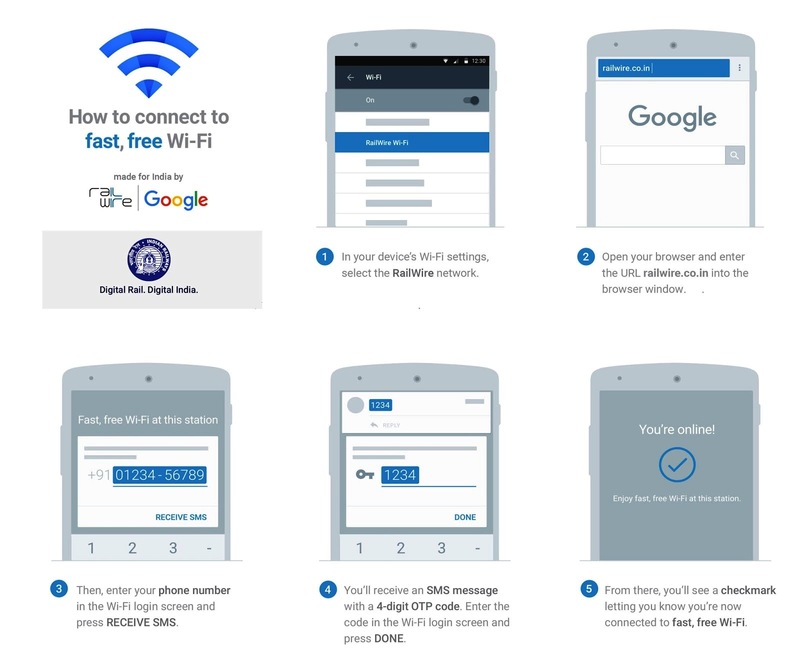 Kochi: Google India has announced the roll out of free high-speed public Wi-Fi at nine railway stations across India including Ernakulam Junction (South) in Kerala. The other stations are Bhopal, Bhubaneshwar, Kacheguda, Pune, Raipur, Ranchi, Vijayawada and Vishakhapatnam. Google had introduced the free high-speed Wi-Fi at Mumbai Central earlier in January this year. “It’s still early days, but we’re really happy about this progress towards making high-speed Wi-Fi available to more than 10 million Indians every day. In the months ahead, we’ll continue to work in close partnership with Indian Railways and RailTel, to reach 90 more stations this year, and eventually 400 spanning the whole of India”, he added.